Ever wondered why do Fulcrums receive callsign 'Smoker' during different exercises? Well, that's the answer. 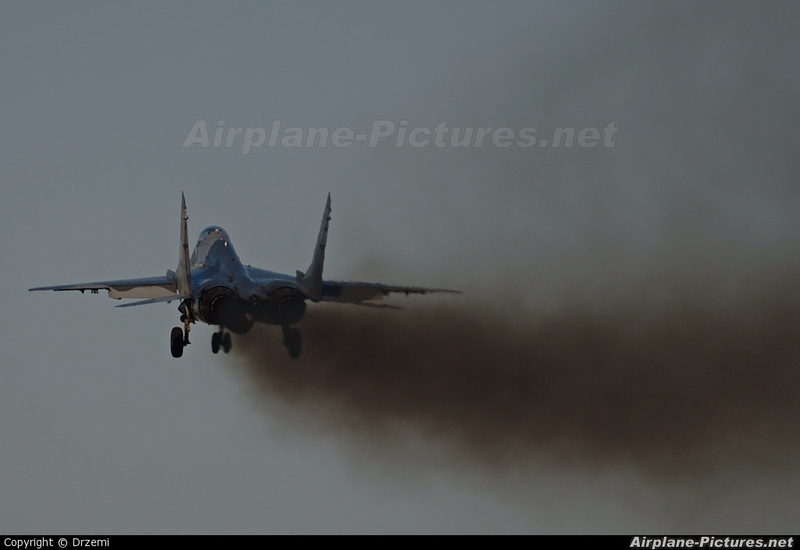 Polish Fulcrum performing low approach over RWY09, the moment of revving up.